Halloween, an American slasher-horror film is a direct sequel to the movie with the same name released in 1978 while discarding/ignoring all the sequels made within. 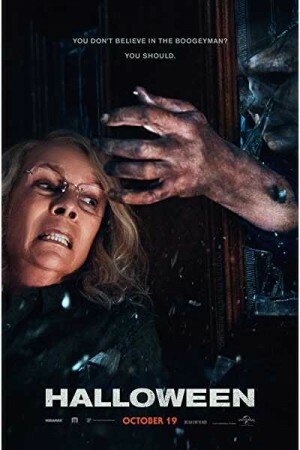 The movie takes the set up to the direct, final confrontation between Laurie Strode and Michael Myers, around four decades after the former survived the latter’s hunting spree. The movie walks you through a horrific progress of adventure and suspense on whether Laurie will be able to survive the hunting spree or not when the psychopath killer returned to the town on this year’s Halloween night as a masked figure and starts taking lives of people again.